In a previous Mooc, I described how to import the feed list into Thunderbird. The procedure still works as shown in the YouTube video. 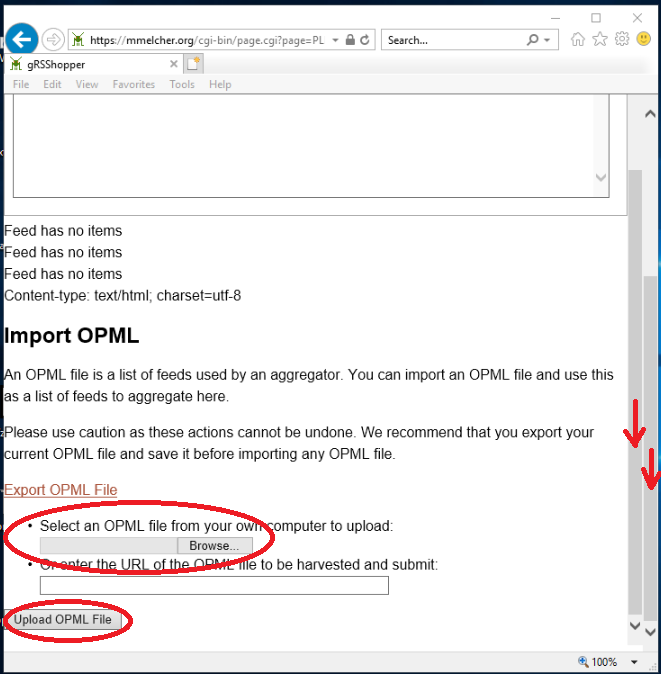 ignore the errors at the top and scroll down to “Select an OPML file”, browse to a previously downloaded file, and hit the “Upload” button. If the XML format is accepted, you are done.